In 2013 QEC received a generous bequest from the Estate of Walter and Alwynne Jona that enabled the development of this project. 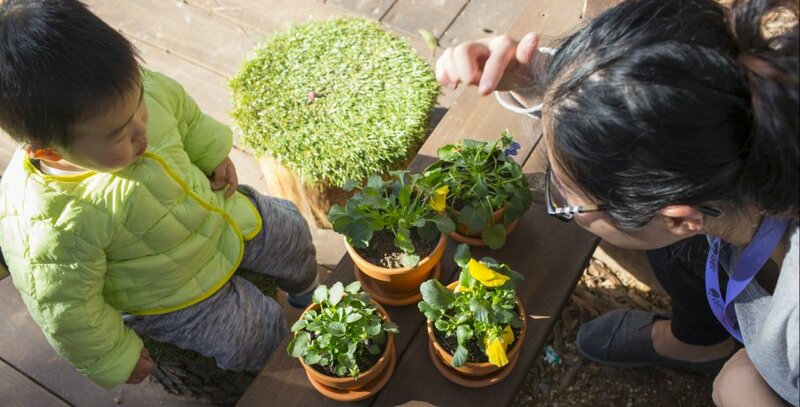 QEC therapeutic gardens project will create an outdoor environment that sustains QEC staff, residents and visitors, and supports and enhances the therapeutic sensory and functional programs of QEC. The project also aims to enhance connections between the programs and physical environment with neighbouring services, program partners and the local community. Gardens have been shown to reduce stress levels and lead to feelings of hopefulness. These positive emotions are particularly important to those who have suffered trauma or who are in difficult emotional and physical situations. QEC families often describe traumatic childhoods experiencing neglect, abuse and very few positive moments. This lack of positive parenting means that without parenting education and nurturing the parent is unable to provide loving and learning environments for their children. Without intervention the cycle of neglect and abuse continues resulting in life long negative impacts on mental and physical health and ability to form secure adult relationships. We show the parent how fun playtime impacts on their child's brain development and ability to learn new things. The parent starts to enjoy time with their child. This innovative 5 year program saw completion of Stage 1, the Jona sensory Children’s Garden in November 2016, delivering an immediate therapeutic benefit and visual impact for our vulnerable children, their families and our dedicated staff and volunteers. The garden will be officially opened by the Her Excellency the Honourable Linda Dessau AC Governor of Victoria Wednesday 31st May 2017.